Gene Krishingner, Jr. MD is a board-certified OB/GYN and aesthetic medicine specialist with over 15 years of experience. As the medical director and lead physician at Laser & Aesthetics Studio of Winter Park in Winter Park, Florida, Dr. Krishingner provides a wide variety of non-invasive cosmetic treatments to patients in the greater Orange County area. As someone who has long been a champion of progressive medicine in women’s healthcare, Dr. Krishingner understands that a variety of factors contribute to your health and well-being, including having confidence in your appearance. Using advanced laser technology, he offers a full scope of treatment options, including skin rejuvenation, wrinkle reduction, pigmentation correction, and scar removal. After earning his medical degree from the James H. Quillen College of Medicine at East Tennessee State University, Dr. Krishingner went on to complete his internship training at Tripler Army Medical Center in Hawaii. He performed his residency in gynecology and obstetrics at Wilford Hall Medical Center in San Antonio, Texas. He’s a Fellow of the American Congress of Obstetricians and Gynecologists. Dr. Krishingner is also the owner and lead physician of Women’s and Maternity Care Specialists of Orlando, a state-of-the-art women’s health practice with a comfortable, boutique-style setting. 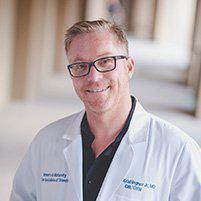 He also currently serves as Chairman of the Department of OB/GYN at Florida Hospital Winter Park, and as Associate Professor of Obstetrics and Gynecology at Florida State University College of Medicine. Dr. Krishingner and the team at Laser & Aesthetics Studio of Winter Park are committed to enhancing the well-being and self-esteem of everyone who comes through their doors. From the moment you arrive until your service is complete, they’ll dedicate their time and expertise to you. To make an appointment, call the office or use the convenient online booking feature.